the Palisade By Fanimation Has Brought The Look And Feel Of The Tropics To Interior Design For Over Two Decades. 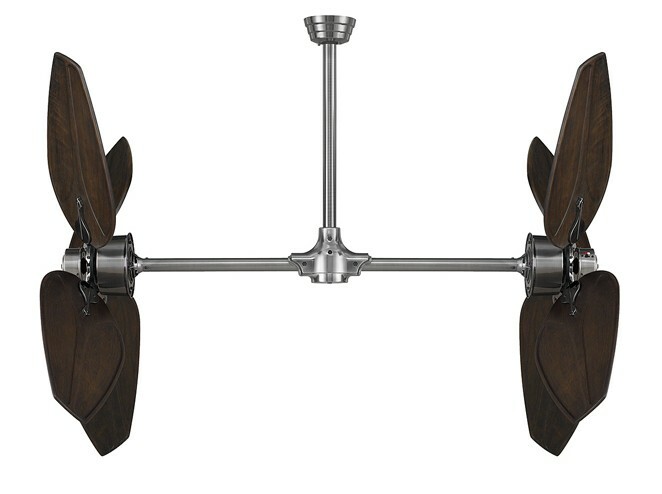 Like Many Of Fanimation?s Classics, The Palisade Has Remained A Top Selling Ceiling Fan Because Of Its Innovative Style And Superior Quality. What Makes The Palisade So Unique Is That It Operates Dual Fans On A Vertical, Rather Than A Horizontal, Rotation And Creates A Stunning Visual Aesthetic Unlike Any Other Ceiling Fan. The Palisade Offers A Wide Selection Of Bamboo And Palm Leaf Blades To Enhance The Exotic Look Of This Fan And A Selection Of Cairo Purple And Sambel Sand Finish Blades For Those Who Want A More Traditional Look. The Palisade Is Specially Designed For Rooms With Tall Ceilings And Utilizes A Ball And Bracket Hanging System To Accommodate A Ceiling Slope Up To 30 Degrees.